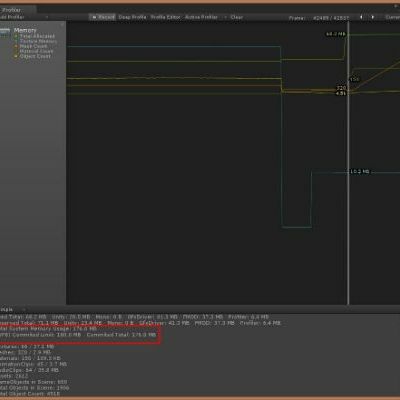 This blog covers some Tips and Tricks on memory optimization and working with textures and was compiled by Steve Hughes who works as an Applications Engineer for Visual Computing at Intel. For more information see Steve and Cristiano's article (most of the tips are applicable to Windows as well as Android) and my Tips for using Unity with the Intel® RealSense™ SDK. Don't set textures to readable (CPU R/W) except when needed. This avoids extra CPU copies, markers, etc. Normal maps don’t need to be 1:1 scale with diffuse maps. Since Unity's Auto Garbage Collection is usually only called when the heap is full or there is not a large enough freeblock, consider calling (System.GC..Collect) before and after loading a level (or put it on a timer) or otherwise cleanup at transition times. Avoid memory fragmentation by using structures (stored on stack) instead of classes (stored on heap). Remember enumerators allocate RAM. And (Foreach) is reprocessed into a block of code which allocates an enumerator, too. For the same reason, avoid Anonymous methods and Lambdas. Stream assets to consume less RAM, Collect related assets into Asset Bundles at build and then stream them out at run time. (Be sure to destroy them before the next scene or asset bundle stream). Tips for using Unity with the Intel® RealSense™ SDK.